Star Wolf will be in Kansas City for Embracing the Inner Beloved: A Shamanic Breathwork™ Weekend of Transformation, October 9 & 10. She is also offering an additional two days of breathwork journeying, integration and shamanic-psychospiritual healing modalities on October 11 & 12. You can do just the weekend for $250 or all four days for $600, which includes credits towards certification as a Shamanic Breathwork™ Facilitator or ordainment as a Shamanic Minister in Venus Rising's Global Network. Click HERE for details. 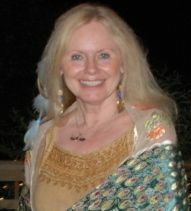 All Venus Rising programs may also be applied towards gaining a degree through Venus Rising University, the first and only Shamanic Psycho-Spiritual University in North America. Click HERE to learn more.